The consumer market for mobile applications and their derivatives has grown so dynamic that businesses are struggling to keep pace with growing consumer expectations. The Androids, iPhone and now the iPad are the most perspective next-generation mobile platform in the today’s market. At Ardent, we offer extensive range of Android mobile apps development services from game to complex business and enterprise software development. Our expert Android developers have an in-depth knowledge of Google Android SDK which helps to create some amazing and great android apps for our clients. In addition to being able to professionally deliver Android development, designing and implementing software that will work perfectly on these devices, we also ensure that the content of your web site is accessible on an Android device. 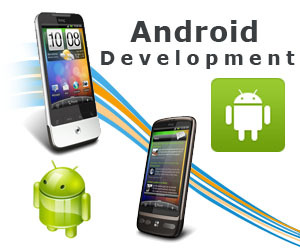 We also offer to modify existing applications and make them Android compatible.